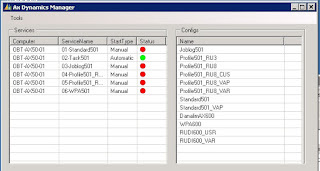 The Code Profiler in Dynamics AX is a powerful tool for finding performance issues in the application. But it can also be a little difficult to use simply just because of the overwhelming amount of data it creates, so sometimes it's nice to limit the amount of code it runs on. This is where the macro #profileBegin comes in really handy. If you already know the place in your code that runs slow, you can put in the macro before and after, and then the profiler only runs on that piece of code. Now you only profile the code you actually need to measure, and not allot of unnecessary code.